Ali becomes the first Muslim actor and the fifth Black actor to win Best Supporting Actor at the 89th annual Academy Awards. 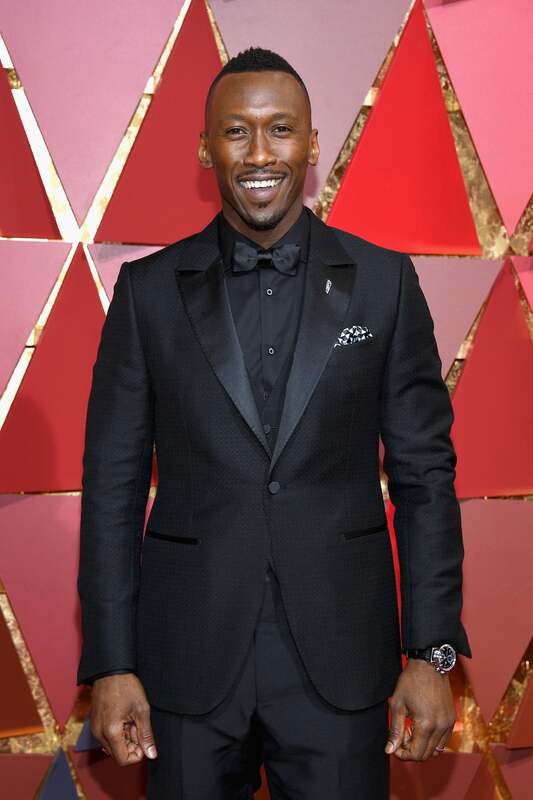 Mahershala Ali has taken home the gold! The Moonlight star has scored his first Academy Award for Best Supporting Actor in the critically acclaimed film. Taking to the Oscars stage just days after he and wife Amatus Sami-Karim welcomed their daughter Bari Majma Ali, the 43-year-old gave an emotional speech that centered the characters of the groundbreaking film. “My grandma would want me to button up,” he said with a laugh. “I want to thank my teachers, my professors. I had so many wonderful teachers and one thing they consistently told me was that it wasn’t about you. It’s about these characters,” he said. Centered in Miami’s Liberty City, the coming-of-age tale — based on Tarell Alvin McCraney’s screenplay, In Moonlight Black Boys Look Blue — centers on Black masculinity, sexuality and identity. Ali takes on the role of Juan, a drug dealer who plays an unlikely father figure to a young Black boy named “Little,” portrayed by Alex Hibbert. His character resonated with man,y collecting best supporting actor honors all throughout award season including the Screen Actors Guild Awards, Critics’ Choice Movie Awards and NAACP Image Award. This is Ali’s first Academy Award nomination and win. Congratulations!